Modern ophthalmology has come a long way in treating many vision problems and eye disorders that were considered incurable until recently. Innovative methods of treatment give hope to patients suffering with various eye impairments or age related vision disturbances. Contact lenses are one of the most innovative methods to treat refractive vision problems, including astigmatism, near- and farsightedness and age related eye focusing problems. Bifocal contact lenses could be real life savers for people who simply do not like wearing glasses and regularly need to switch from focusing on nearby or distant objects. Contacts manufacturers have even come up with innovative lenses especially designed for people with dry eye syndrome who frequently develop bloodshot eyes due to wearing lenses for prolonged periods of time. Unfortunately, contact lenses do not actually cure vision problems and serve as a mere band aid for your visual impairments. In addition, wearing lenses regularly does have a list of side effects that you need to be aware of. Wearing your contacts everyday does put some strain on your eyes and causes small abrasions to the eye that could lead to conjunctivitis or inflammation of the white outer lining of the eye. This eye infection, also called pink eye, could have multiple causes, including viral, bacterial or allergenic in nature. Some patients with preexisting medical conditions like Lupus or other autoimmune disorders might be especially susceptible to developing eye infections like iritis or keratitis that may require aggressive treatment to avoid serious complications. Laser eye surgery or as it is widely referred to as LASIK procedure has been widely advertised as a fast and effective way to rid you from vision problems and restore nearly perfect sight. During the procedure an ophthalmologist removes an outer corneal flap before proceeding with actual laser eye corrections. The total laser eye surgery procedure takes about 15-20 minutes and a patient can return to almost normal activities within 24-48 hours after the surgery. LASIK procedure is considered safe, however, there’s a risk of infection and irregular surgery outcomes. 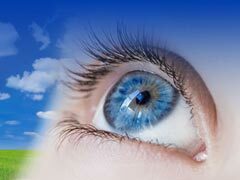 LASIK is treatment is not appropriate for everyone. Certain individuals affected by autoimmune health conditions or eye disorders like herpes or recurring corneal eye infections are not good candidates for LASIK or cataract laser surgery. In addition, the main problem with LASIK surgery is that no information is available on the long term effects following the procedure since it’s a relatively new elective eye surgery and not enough data has been gathered to prove the effectiveness of the procedure 15 or even 20 years later. At this point ophthalmologists can only speculate and wait to gather enough evidence to support their case and long term safety of LASIK. Vision exercise therapy is not a new approach to treat various vision problems since it was first introduced at the beginning of the 20th century by Dr William H. Bates who for many years was conducting very thorough research on the effects of special eye exercises to improve vision. Dr Bates strongly believed that most vision problems start with eye strain and if you start practicing eye relaxation methods you can greatly improve vision and say good buy to glasses for good. Lately, there have been a lot of supporters of the Bates methods especially among naturally oriented health practitioners who rally against heavily medicated and invasive approaches in treating vision problems. Along with supporters there are plenty of opponents of the Bates method who believe you can’t fix most eye problems with mere exercises. You really have nothing to lose and you can definitely try practicing Dr Bates exercises to judge their effectiveness for yourself. Alternative medicine treatments. Have you ever thought that if you have any vision problems you can successfully treat them at your acupuncturist’s or chiropractor’s office? There have been several inconclusive studies showing that acupuncture could be helpful in treating dry eyes and chiropractic manipulation can aid various eye conditions. More research is needed, however, all of the methods deserve a fair trial. Dietary supplements and vitamins. Antioxidants are some of the best dietary supplements you can add to your daily regimen if you want to prevent or treat various visual impairments. Antioxidants found in grape seed extract, raw fruits and vegetables protect your vision from damaging effects of free radicals that make us age faster and contribute to visual problems. A large group of Carotenoids including lutein allows us to significantly improve our vision during the day and in the dark as well. Omega 3 fatty acids supplements are fantastic to try if you have hard to treat dry eye syndrome. It’s a natural way to avoid costly eye drops that only work temporarily. Cod liver and krill oils help fix the problem from within additionally giving you glowing skin and lustrous hair. Additionally, minerals like zinc and iodine have proven to be helpful in reducing the number of bacterial eye infections if taken regularly.